Out of all the country-specific articles I’ve published, the one that generated the most controversy – by far – was the one on investment banking in Russia. No one could agree on the salaries and bonuses paid by different banks, whether or not you need to know the language, or even how much vodka you have to drink to understand the industry. Q: You know how this works. What drew you into the insanity? A: I went to a top business school in Russia, and got very interested in finance and investing due to some great lecturers who also worked in consulting and private equity. So I started reading all the finance classics (books about Michael Milken, Drexel Burnham Lambert, etc.) and finding out more about IB online. During my second year of study, I was offered an interesting job as an executive at a small construction company, which I decided to try. I focused on analyzing and improving business processes at the firm. It was interesting and challenging at first, but after 2 years I decided that I wanted to work in the investment business, so I started looking for an IB job in Russia. But deal activity was low, the industry was and still is small, and no one wanted to hire an entry-level candidate with no previous IB experience. So after several months of searching, a Big 4 audit job opened up and I interviewed there, eventually accepting an offer. I got very lucky because the firm was hiring specifically for the annual audit of their biggest banking client – one of the Top 3 banks in Russia – so I learned a lot from that one engagement. At the same time, I was studying for the CFA and still searching for IB jobs on the side. Q: So when you say “searching,” were you networking and reaching out to contacts in the industry? A: Yes, networking can be very helpful in Russia due to the relatively small size of the local IB/PE/VC community. Headhunters can be helpful as well, but only if you have the right experience. After I finished the annual audit, I received a job offer at a new IB boutique started by the Founder and ex-Managing Director of one of the best-known existing boutiques in Russia at the time. That offer was the best chance I had of breaking in, given my audit background, so I accepted it. The firm actually had good deal flow, for a boutique, and I got all the other usual benefits: more responsibility, more client exposure, and the ability to work in different industries. Q: But you left fairly early on. A: Right. About 1.5 years into it, a headhunter approached me and told me about a senior analyst position at a big real estate private equity firm with solid deal flow and promising deals. Q: Good pitch. Was the headhunter telling the truth, though? A: More than I expected. I was actually promoted after only 1.5 months at the firm, because one Associate was fired and they needed someone to take over ASAP – plus, they were busy with deals and couldn’t spend months searching for someone new. Q: So what was the recruiting process like for real estate private equity in Russia? A: Overall, it was fairly similar to the process in any other country: you answer the usual questions about why you want to do RE PE and how your previous experience is connected to real estate. In the later rounds, you get case study questions with models and presentations. More senior candidates have to prove their track record, demonstrate how well-connected they are, and show that there’s “chemistry” between them and the Partners and top managers. The typical case study is in the form of a real estate development or acquisition, and they ask candidates to estimate how much the fund could pay for a plot of land or a property to achieve a 25%+ IRR. Assumptions: Candidates are given the location and main characteristics of a property; for example, a Gross Building Area (GBA) of 10,000 square meters and a Gross Leasable Area (GLA) or Net Saleable Area (NSA) of 8,000 square meters. They could ask about a development or an acquisition, but development case studies tend to be more involved because of the different construction and financing phases. Research / Data Collection: Then, you have to estimate what the rent per square meter and the occupancy rates might be during various stages: commissioning, during the 1st year and 2nd year, and so on, all based on similar properties. Modeling: Then, you model out the cash flows during the design, construction, and tenant move-in phases and calculated revenue and expenses based on assumptions for the occupancy rate, rent per square meter, and expenses, and you calculate taxes. You also model out debt and equity financing cash flows and calculate and link the interest. Finally, you calculate the IRR based on the exit date and the exit capitalization rate. Back-Solve for the Value of the Land – Sensitivity Analysis: Based on your work and some exit assumptions they provide, you calculate the IRR to equity investors and estimate the range of values the fund could pay for the land to achieve a 25%+ IRR. Presentation: Then, you have to put everything together into a set of slides, show different sensitivities, and make a recommendation on whether or not the fund should do the deal based on the asking price of the land plot. It isn’t extremely complicated compared to what you do on the job, but it does test your understanding of the industry, your ability to find information, and how well you can use models to support your arguments. Q: Thanks for sharing that description. Our previous interviewee mentioned that IB is a very small industry in Russia and that PE is even smaller, so what kinds of candidates are they looking for exactly? Investment Banking – At a US or European bulge bracket bank, a big Russian investment bank (e.g., Sbercap or VTB Capital), or a well-known boutique. Corporate Finance Consulting – Something like the valuation or M&A department at a Big 4 firm. Corporate Finance – For example, if you’ve worked internally at a blue-chip Russian company like RUSAL (the world’s biggest aluminum company). So if you’re not from one of those backgrounds, it will be almost impossible to get in because the industry is so small and the requirements are so specific. You do see some foreigners working here, but most of them are in very senior roles. Junior and mid-level people are 99% Russian natives. The Private Equity Landscape: A Barren Plain in Siberia? Q: So what is the private equity industry there like overall? A: Well, you have to divide this into “pre-sanction” and “post-sanction” times. As of right now (2015) everything here is in crisis mode because of the sanctions and the plummeting currency, so distressed deals and distressed assets are very common. But if you want to know about the previous situation: there are a few big international PE firms here, but the industry is definitely dominated by smaller, local firms. The most prominent PE firm overall is Baring Vostok Capital Partners (BVCP), with very successful investments such as Yandex (Russian’s main search engine). BVCP made a huge profit on the Yandex deal, with a cash-on-cash multiple of over 500x, and built its reputation on that. TPG Capital opened its Moscow office in 2008, and among the top 20 global PE firms by AUM they’re still the only one with a presence here (Carlyle had a Moscow office but shut it down in 2005). TPG also owns ~39% of Lenta, one of the biggest retail chains in Russia. Other international firms haven’t done too well here. Most private equity activity in Russia takes place at “financial-industrial groups,” which are basically local investment groups that do a bit of everything. Examples include Alfa Group, Basic Element, Summa Group, Renova and a few others with a huge amount of assets, money, and connections (essential for doing anything here). Some of these are similar to Berkshire Hathaway, but they also get the benefit of government backing. Typical local PE funds here include UFG, Russia Partners, Elbrus Capital, Da Vinci Capital, and many others. Many deals are highly dependent on government policies and knowing the right people in the right ministry/department. Q: Well, I can see why Carlyle shut down its office. Q: Fair enough. Anything else to note? A: It’s also worth mentioning venture capital in Russia, since that has drawn a lot of attention over time. On the venture capital side, the most well-known firm is Digital Sky Technologies or “DST Global” (Yuri Milner and Alisher Usmanov), with investments in Facebook, Alibaba, Zynga, Groupon, Xiaomi, and various Russian social networks. They took a very interesting approach by going after companies that were too big for traditional VC or growth equity funds, but too small for traditional PE funds – and it happened at a time when companies wanted to delay going public for much longer than in previous decades. There are other VC / growth equity-type firms here as well, such as the state-owned Rusnano. 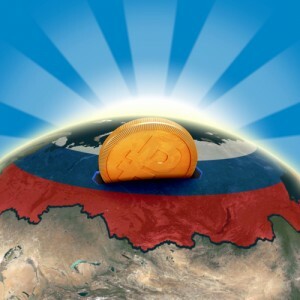 It aims to co-invest in ventures that will be useful for the Russian economy and society. Other examples of VC and growth equity firms include ABRT, E.Ventures, and Runa Capital, which are all investing in software, internet, and e-commerce ventures in Russia. Another example is Buran Venture Capital, which is smaller and newer but has focused on e-commerce, mobile, and new media. So there’s definitely some tech startup and venture capital activity here, but overall the country is still dominated by traditional industries. And on the private equity / late-stage side, what’s the split between growth equity deals and traditional leveraged buyouts? Do you actually see both deal types, or did you see both deal types in the past? A: In “pre-sanction times,” yes. Overall capital committed to private equity was less than in the other BRIC countries, but both deal types existed. One example of an older deal that used debt was Renova’s acquisition of Corbina Telecom from IDT Telecom in 2005. It was a $146 million USD deal funded with $90 million of debt, and then Renova flipped the company to Golden Telecom for $240 million within 1 year, yielding a 3x multiple and 300% IRR. Now, however, special situations and bankruptcies are far more common so deal activity has shifted there. The biggest special situations / turnaround fund in Russia is A1, which is part of Alfa Group. Q: And are there any differences in the deal process or in valuation / financial modeling? A: The main process difference is that everything is more dependent on the whims of the government than in other countries, so deals often drag on and on, die, and come back to life multiple times. The technical work itself isn’t that much different, but investors here tend to require higher IRRs, sometimes north of 25%, due to the high geopolitical risk. Cross-border deals are also quite common. I think a lot of readers would be interested in what a distressed deal in Russia might look like, given the current environment – can you give us an overview? A: Sure. I’ve been working almost entirely on distressed assets and restructurings rather than “normal deals,” so I’ve had a good amount of exposure. A Russian trading company owns property, equipment, trucks, and maybe even a few plants. The company was financed by a EUR-denominated loan because it is importing goods from the EU. Previously it was fine because the EUR / RUB exchange rate didn’t fluctuate too much, and even if the rate changed a bit, it was solved by price correction on the imported good. But now the company is screwed because the RUB has fallen dramatically, and the company can’t just raise prices 2x or nobody will buy their goods. Meanwhile, the value of the company’s EUR-denominated debt is now 2x higher when converted back to rubles, so the company might not be able to meet its interest and debt principal repayment obligations. Restructure the company’s debt to make the terms more favorable. Simply acquire the distressed company after 1.5 – 2.0 years, following the common bankruptcy process here. Claim the collateral “in a nice way,” write down the remaining debt, and either hold the company or attempt to sell it in the near future. If a distressed company has no foreign currency-denominated debt, but demand for its goods has plummeted (e.g., most likely Russian car dealers in the future), PE investors might be more interested. They would focus on any firms that suddenly have low EBITDA due to a high fixed cost base, such as manufacturers, and then buy the firms at a discount, restructure them and optimize costs, and then hold onto those firms until the economy improves and demand for goods is restored. So this strategy comes down to assessing firms’ fixed vs. variable cost bases and estimating which firms are just suffering from a temporary drop in demand vs. more serious long-term problems. Q: So what do most people there do after working in PE? You could become a Partner at a PE/VC fund in the future. Some people also become top managers of state-owned corporations, so they earn a lot and also gain a lot of connections. Q: And your own plans? A: I’m mainly working with distressed assets and special situations now, so I want to get more involved with normal deals and gain more experience in developed markets. Q: So you’re looking for IB/PE jobs outside of Russia? A: Yeah, I’m looking to move to Europe at the moment. Q: Good luck with that. And thanks for your time! That case about debt in euro becoming harmful in terms of leverage because of currency fluctuations ? Why not just use hedging currency derivatives or forward contracts? Or is the derivative market also under-developed? I’m a Malaysian medical graduate who happened to know a director / founder of PE firm focusing in sub Saharan Africa. 1. What do you think of PE in Africa? 2. How do I do due diligence on the PE firm before deciding to work for them? 1. Don’t know much about it, sorry. It’s promising but not really developed in most places yet except for South Africa. 2. Go and meet them in-person, see if they have a real office, and contact people who have worked there before to see what they say. 3. Learn about deal analysis, learn accounting, valuation, and financial modeling, and read up on the industry, how PE funds are structured, what they do, and so on. Do you have any courses / tutorials you can recommend? Actually, many big PE funds in Russia (government related or family offices) hire junior ppl from the outside. I personally know more than a handful of people who managed to get in without connections. One example is Russian Direct Investment Fund, mentioned in the article. So it is not impossible, but connections make life much easier, can’t disagree with that.